Standard - $5.99 Only 7 left! Green is such a confusing color for us humans. When you're looking at your food, and you see a bright green piece of lettuce or broccoli, that means it's perfect and ready to eat. But, see a bright green piece of meat or bread, and you are mere minute away from a terrible day if you eat it. Likewise, if you see some green plants or trees, they are healthy and happy. If you see a green person, there is something seriously wrong. Maybe they ate some green meat? Okay, so for humans, being green ain't too good. But, in nature, green is a sign of energy and magic. 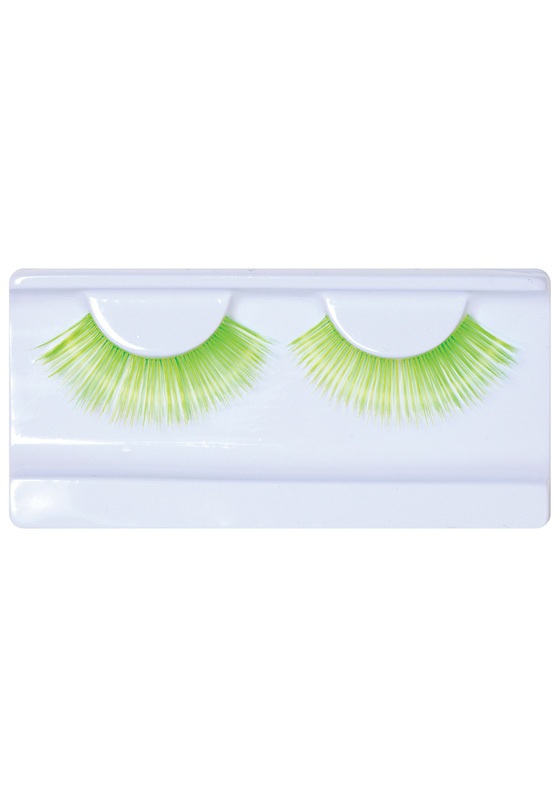 So, if you are looking for an accessory to go with a nature themed costume, these Green Crayola Eyelashes will bring out the natural vitality in your eyes. Whether you are dressing as a woodland fairy, a sorceress, or even Mother Nature herself, these eyelashes will give you a magical gaze to go with your costume.